These teardrop shape awards include a rising star motif and are perfect for rewarding your upcoming and emerging stars. Crafted in jade glass with a large silver panel and black accent, they provide a large area for engraving. 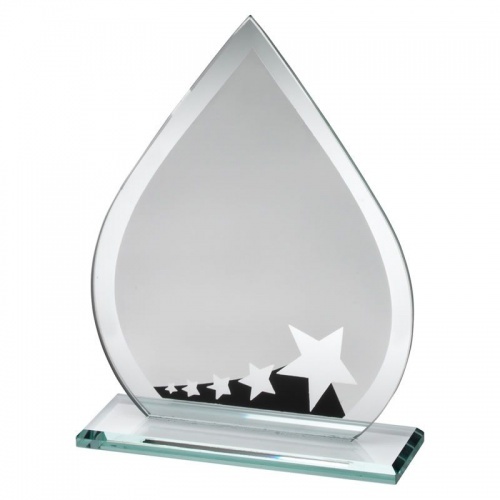 Standing 7.25in / 184mm tall, they are offered here with text and/or logo engraving options.